Humility: a word scoffed at by the world – and yet, one of the central aspects of Christianity. Christ’s humility brought redemption. Our humility – given by God – causes us to surrender. The church’s humility allows God to work and sanctify. Humility must be that which Christ-followers continually strive for. And yet, humility is so often misunderstood – and really, undesired – by Christians. In Humility, Andrew Murray has done an incredible job of convicting his readers for the need of this virtue. I’m only a few chapters in, but already my mind is constantly exploding as I consider the implications of the truths Murray pinpoints. In light of this, here are a few things to consider pertaining to humility. Humility isn’t simply rejecting praise from others or refraining from a “better-than-you” attitude. Though humility affects our actions, it first penetrates our lives at the innermost depths of the heart. 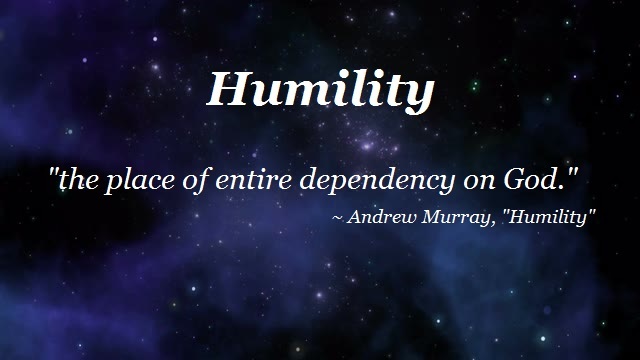 Andrew Murray defines humility as “the place of entire dependency on God”. It is acknowledging that we, as created, belong to the sovereign and all-powerful Creator, and living out our lives accordingly. We recognize that we are not God, and so we are not in control. When we have humility, we possess a biblical attitude concerning our relationship with God, and we submit to His authority, living in obedience. How Can We Attain It? It is essential to recognize that humility is not something we innately desire. 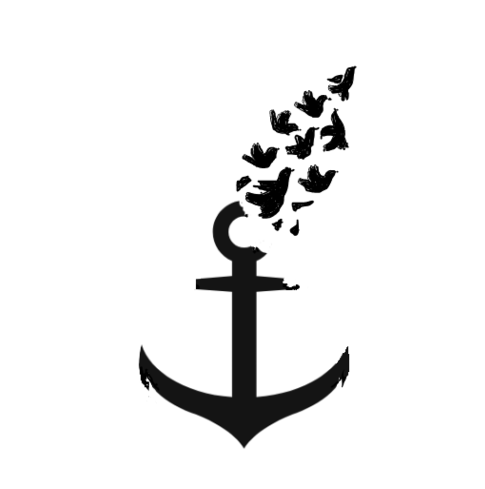 In our sinfulness, we cling to our pride and resist God, insisting on our own way. We refuse to worship and serve Him as Lord. Our pride made necessary our redemption, for because of our pride we rebelled against God – and, out of love for those whom He has chosen, God sent Christ into the world to live a life of surrendering His will for the Father’s glory. God raised Him from the grave, and as Christ is once again in Heaven, He is interceding on our behalf before the Father. Only through our faith and dependency on Christ can we hope to attain humility; it is not something we can merely manufacture ourselves. Philippians 2:13 tells us that God is the One who gives us both the desire and the ability to live a life pleasing and honouring to Him. As God’s children, we must continually run to Christ and cry out for His humility. How Should Humility Change Us? Andrew Murray states, “[Christ’s] humility was simply the surrender of Himself to God, to allow Him what He pleased, whatever men around might say of Him, or do to Him.” To live a life of humility is to live a life of total surrender and obedience to God. In This Changes Everything, Jaquelle Crowe describes a true believer: “Jesus has no half-hearted followers. He demands all. And when He saves you, He changes it all.” This is the heart of humility. A Christian – one who has given up the throne in his heart and surrendered it to God – must esteem God above himself. If he doesn’t, how can he call himself a Christ-follower? You cannot have humility if your primary focus is yourself. Humility changes us in this regard, in that as we grow in humility, we grow in our dependency of God, our recognition of our sin and depravity, and our desire to live a life of service to God and others. Our focus on self diminishes as our focus on Christ increases. And how can we, as Christ-followers, not be compelled to live a life of humility when Christ himself was the greatest example? “Have this mind among yourselves, which is yours in Christ Jesus, who, though he was in the form of God, did not count equality with God a thing to be grasped, but emptied himself, by taking the form of a servant, being born in the likeness of men. And being found in human form, he humbled himself by becoming obedient to the point of death, even death on a cross. Therefore God has highly exalted him and bestowed a name that is above every name, so that at the name of Jesus every knee should bow, in heaven and on earth and under the earth, and every tongue confess that Jesus Christ is Lord, to the glory of God the Father.” – Philippians 2:5-11 (Emphasis mine). Christ humbled Himself to become a servant of His creation, when instead He deserved to be served by us whom He created. And yet, through His humility came not only our good, but His glory as well. As Christians, we will continually struggle with pride. Because of sin and our natural desire to be in control, we wrestle between humbly submitting to, and pridefully rebelling against God’s authority. In our own strength, we will always resist God – but praise God, Christians are given grace and strength from Christ to be able to desire and practice humility for God’s glory. Let us with renewed passion strive to immitate our Saviour by partaking in His humility.